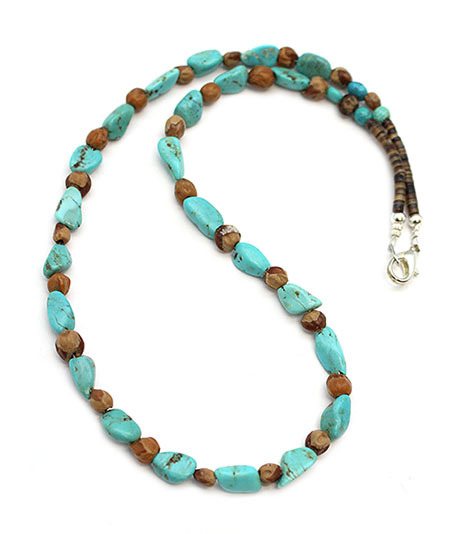 This necklace is strung using turquoise nuggets, ghost beads and heishi with silver plated findings. It measures approximately 18" long. It is Navajo hand crafted by Naomi Garcia. Now only this one available.